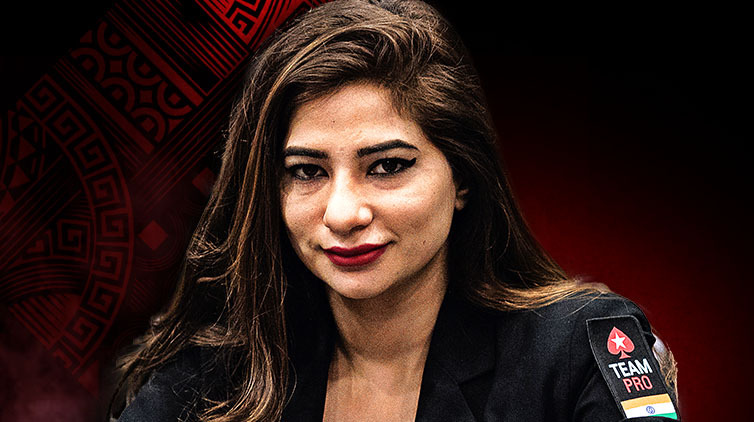 Driven by her curious and unconventional nature and a desire to ‘make a life, not just a living’, Muskan first made waves in the poker world when she qualified for the 2014 PokerStars TV show Shark Cage. For most, taking on the game’s biggest names for $1M on TV would be a crowning poker achievement. For Muskan, however, her moment of fame in Barcelona was certainly not the end of her poker story. But nor was it the beginning. The start of her road to poker stardom came at a young age, inheriting her love of games from her grandmother - a feared card player herself. A career involving fashion, computers and management – all the while watching poker on TV with her father – seemed to be the direction in which Muskan’s life was heading. But she found job satisfaction hard to come by. Then, after college and a few aborted attempts at a more ‘traditional’ career, came online poker. Muskan started out with play money, quickly educating herself on the finer points of a game she still finds mesmerising. Her appearance on Shark Cage was a turning point, as her performance competing alongside some of the game’s leading lights convinced Muskan she had found her place in life. Muskan was then honoured by the President of India with a ‘First Ladies’ award, celebrating her position as the country’s first female professional poker player. She has also been appointed as India’s Responsible Gaming Ambassador. Now, when she’s not working with animals or alongside her mother, Muskan spends her time refining her game and honing her skills to be the best player she can be, at the online tables at PokerStars.